Whether it’s changing it to a cartoon character or a close-up of their beloved pets, people like to play around with their Facebook profile pictures. But Mães da Sé, an organization in Brazil that helps search for missing children, decided to make people’s profile picture choices into something more purposeful. In Brazil, Children’s Day (Oct. 12) is a widely celebrated holiday. Leading up to Children’s Day, many Brazilians change their Facebook profile pictures to pictures of themselves as children. 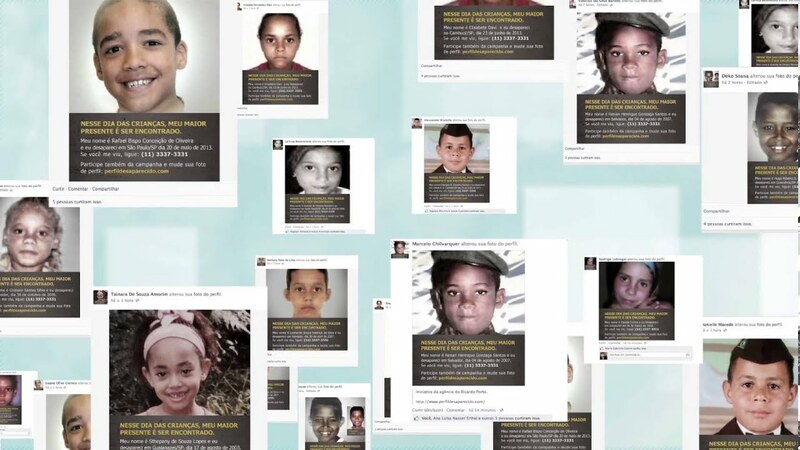 Mães da Sé — with the help of Sao Paolo-based agency AGE Isobar — took advantage of the holiday by encouraging people to instead change their profile pictures to those of missing children to help raise awareness and boost search efforts. Mães da Sé made missing children’s’ pictures, which include information about the children, available for download at http://www.perfildesaparacido.com. According to the agency, during the first few days of the campaign, visits to the picture download site reached 500,000 with 300,000 people ultimately changing their profile pictures to that of a missing child. Thousands of people also shared the site on social networks. While this isn’t the first time a Facebook profile image has been used as a tool for showing support for a social cause — last spring Facebook was overrun with individuals and brands swapping in red equal signs as profile pictures in support of marriage equality – it is a good example of effectively using Facebook images to raise awareness for an important cause. เพียงแค่ 4 วันของการเริ่มแคมเปญ เว็บไซท์นี้มียอดเข้าชมถึง 500,000 คน มีคนที่เปลี่ยนรูปโปรไฟล์เป็นรูปเด็กหายถึง 300,000 คน ซึ่งรวมไปถึงเหล่าเซเลปด้วย นอกจากนี้ยังมีการแชร์เว็บไซท์มากกว่า 1,000 ครั้ง รวมถึงได้รับความสนใจจากสื่อทั้งในและนอกประเทศ ความหวังที่จะได้เจอเด็กที่หายก็ยิ่งเพิ่มมากขึ้น น่าสนใจใช่ไหมครับ?